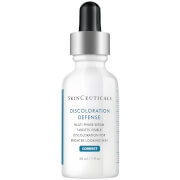 This advanced cellular renewal serum helps restore clarity, radiance and suppleness to damaged, wrinkled skin and provides gentle exfoliation. The serum aids in the reduction of skin blotchiness, refines skin texture and helps increase the turnover of new cells to diminish the visible effects of harsh environmental influences. Aids in repairing sun or environmentally damaged skin. 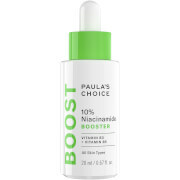 Reduces the appearance of fine lines and age spots. Apply to face and neck, avoiding eye area, after cleansing and toning. For use morning and/or night. 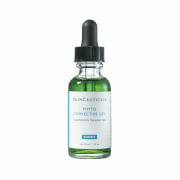 A good alternative to Glycolic Acid or Lactic Acid, or in conjunction therewith (i.e. Morning: Cellular Renewal Serum, Night: Glycolic or Lactic). Aqua/Water/Eau, Vaccinium Myrtillus Fruit/Leaf Extract, Saccharum Officinarum (Sugar Cane) Extract, Acer Saccharum (Sugar Maple) Extract, Citrus Aurantium Dulcis (Orange) Fruit Extract, Citrus Medica Limonum (Lemon) Fruit Extract, Polyacrylamide, C13-14 Isoparaffin, Laureth-7, Soluble Collagen, Acer Saccharum (Maple Isolate/Isolat D’érable), Ethylhexyl Methoxycinnamate, Sodium Hyaluronate, Hydrolyzed Glycosaminoglycans, Phenoxyethanol, Caprylyl Glycol, Sorbic Acid, Parfum/Fragrance, Amyl Cinnamal, Benzyl Salicylate, Citronellol, Geraniol, Hexyl Cinnamal, Hydroxycitronellal, Hydroxyisohexyl 3-Cyclohexene Carboxaldehyde, Butylphenyl Methylpropional, Limonene, Linalool, Alpha-Isomethyl Ionone.